Spiraea japonica 'Nana' is a dwarf variety with a low-growing, spreading habit. 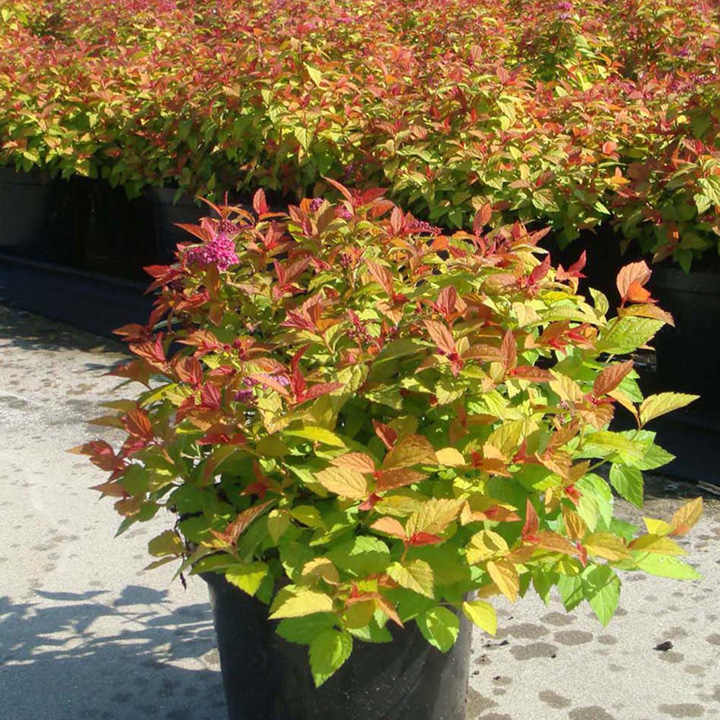 Ideal as a specimen shrub or informal hedge, it bears pink flowers against a backdrop of toothed, green foliage, which takes on fabulous autumn shades. Flowers June-August. Height 90-100cm. Supplied in a 3 litre pot.